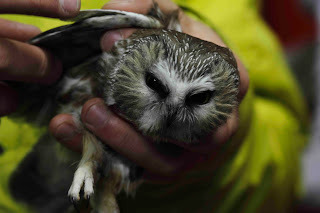 If you had asked me on Thursday if I had ever seen a Saw-whet Owl, I would have said "No". In fact, that is exactly what I was telling people at the DVOC (Delaware Valley Ornithology Club) Annual Banquet when I heard that another member had seen one that day. Boy, I wish I could see a Saw-whet owl. These little owls migrate through our area in November and sometimes even spend the winter. The trouble is that they are really small - the size of a man's fist. Try finding that in a tree. 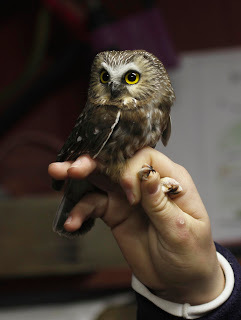 If you ask me today if I have ever seen a Saw-whet owl, I would still say "No, I've seen 8 of them!" That's right, I went from 0 to 8 in 2 days all with the help of the club. The first 7 owls were the result of Marty introducing me to Doris who runs a Saw-whet owl banding program in Chester county. She invited me to join them on Friday night. It was pretty cool. She has nets set up on a farm with a loud speaker blaring Saw-whet owl calls to draw them in and catch them. Every hour, the interns and visitors go out to the field to check the nets. 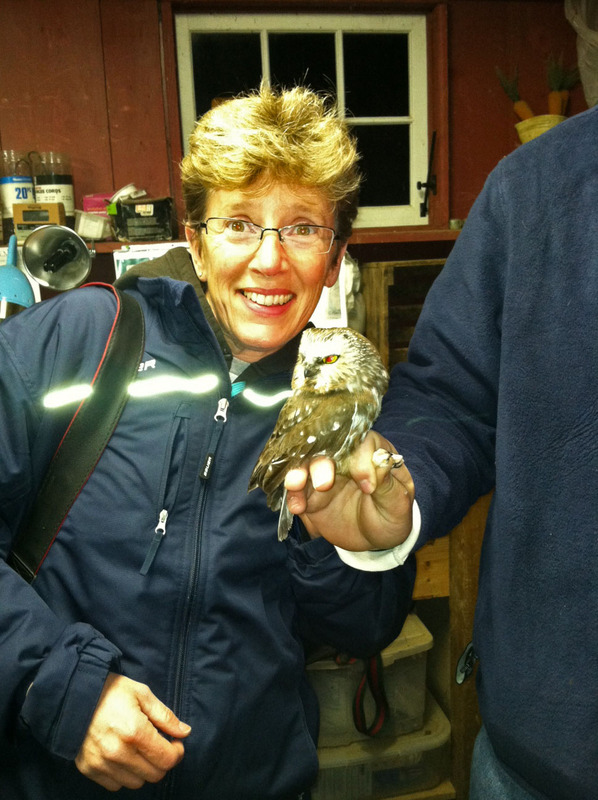 If there is an owl, it gets brought back to the barn to be measured, recorded, and banded. Here are a few photos. The intern measures the length of the wing here. The look on the owl's face is like "ahhh the indignity" although they really didn't fuss that much when they were being handled. 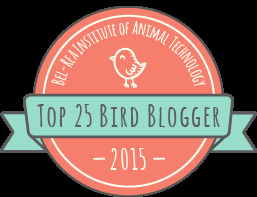 One of the ways that they can tell the age of the bird is by using a black light on the underside of the wing. 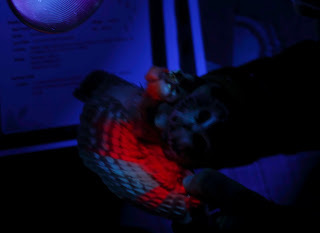 For some reason, owls that were just hatched this year have feathers that light up as pink under the black light. Older birds' feathers don't light up. You can see by the next photo that this bird has a mix of pink feathers which means that this bird is going into her second year. Pretty cool! And yes, it is a "her" based on her weight. Heavier birds are female. Males are smaller and lighter. 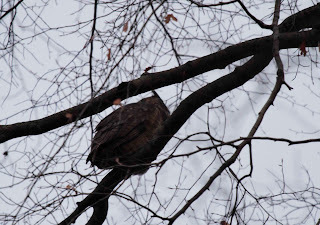 You can see how small the owl is in this photo. 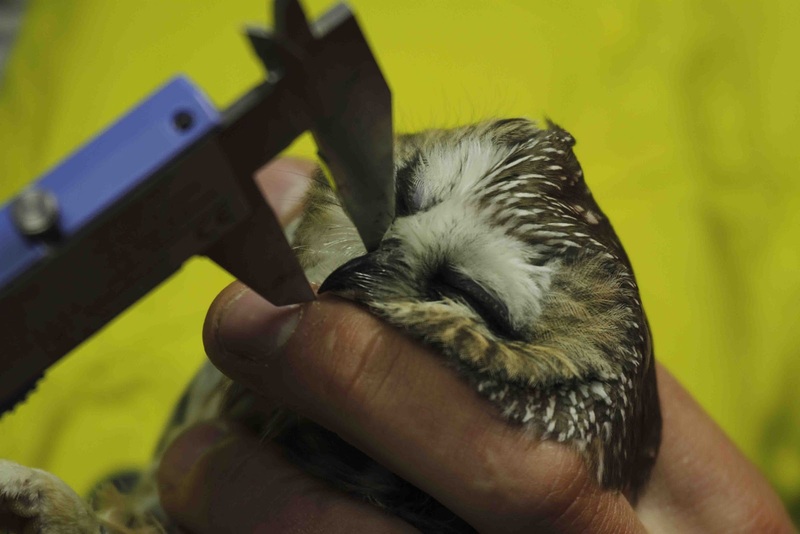 The guy holding the bird is one of the volunteers who assist in the banding process. Again, the owls are not too upset. They are also not upset by the bright lights. 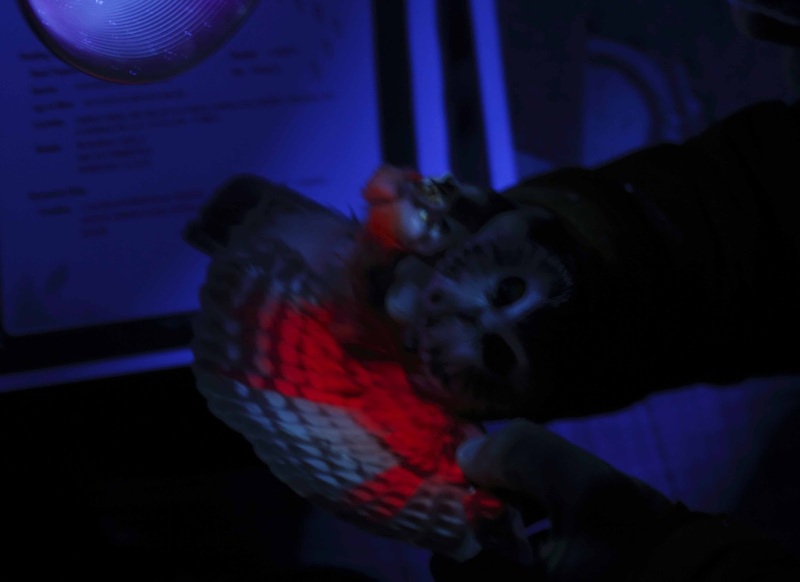 All of that was great, but it got even better when they asked us visitors if we wanted to hold the owl. You read that right, hold the owl. Um, hell yeah I wanna hold an owl. 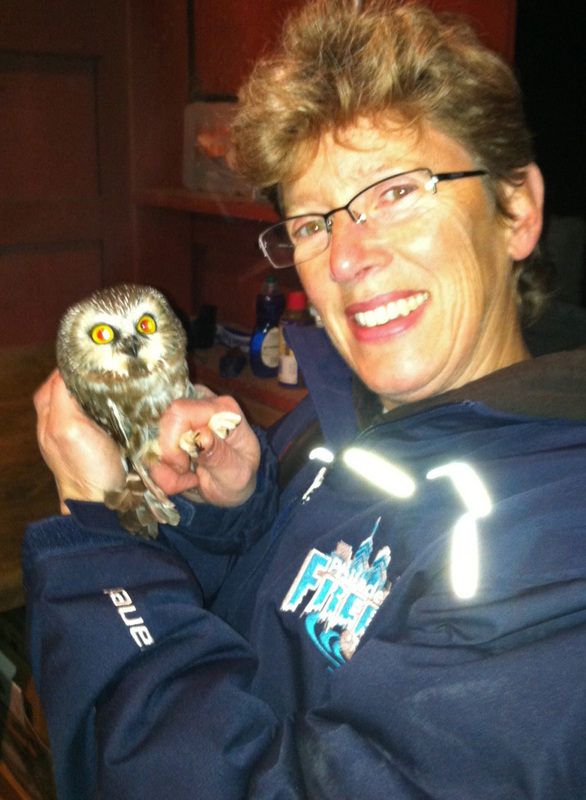 The volunteer first let us pet the owl, then showed us how to hold it without being pierced by a talon or beak. Next thing I know, I have an owl in my hand and I'm getting my picture taken. I almost peed my pants. Thanks to my new friend Deb for taking the photo. Don't dwell on the wrinkles - look at the owl . . . The banders captured a total of 7 owls while I was there. I left after 10 PM and never got home until after 11 PM last night and had a hard time sleeping. This morning, we had a funeral to attend down south of the airport. Diane and I stopped by Heinz Wildlife Refuge after the funeral since we were so close. This is where we got a tip for my 8th Saw-whet owl and Di's 1st. 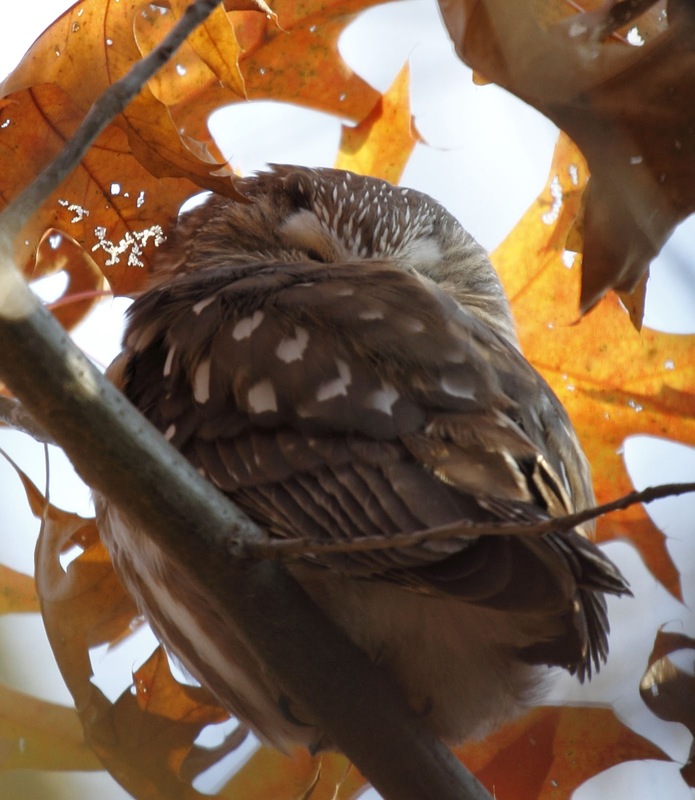 Another club member had seen a Saw-whet at Heinz Refuge on Thursday. We never thought it would still be there, but low and behold, we met another birder that we know in the parking lot that told us that the bird was still there. Off we went and viola: Look really hard at the center of the photo. Here is a close-up taken through the branches and leaves. There was another photographer there who helped us find the tree and the bird. He was also very accommodating to a few other birders. 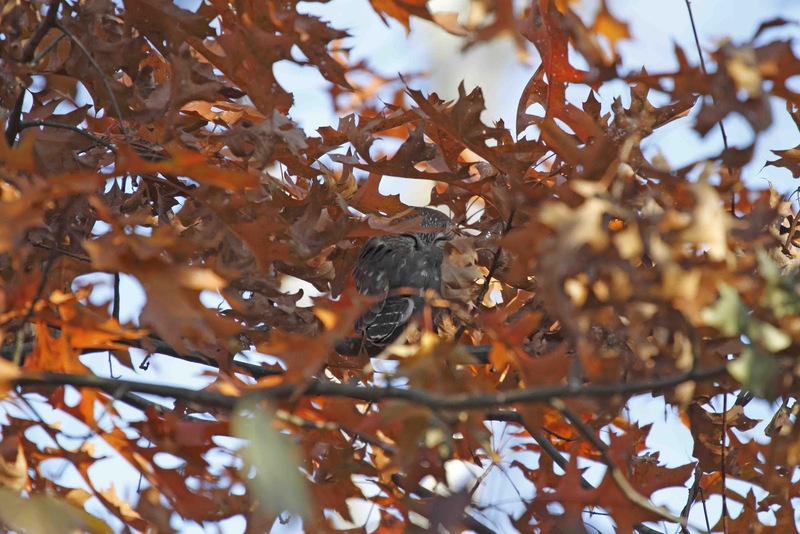 Finding owls in the wild is usually a hush-hush thing. Once you find an owl, you usually keep it to yourself so that the bird keeps it's secret location. This bird was so close to the path, that we didn't feel bad about looking at it. It had already endured 2 days of walkers, dog walkers, birders, bikers, and joggers and stayed put. Chances are that the bird doesn't really care about the disturbance. As if that weren't enough, I took Roxy to Lorimer park for her afternoon walk and, you guessed it, we saw an owl - a Great-horned Owl. That is a pretty owly 24 hours if you ask me. "first time" birds have you seen this year? BTW, I liked the the pictures of you with the owl!